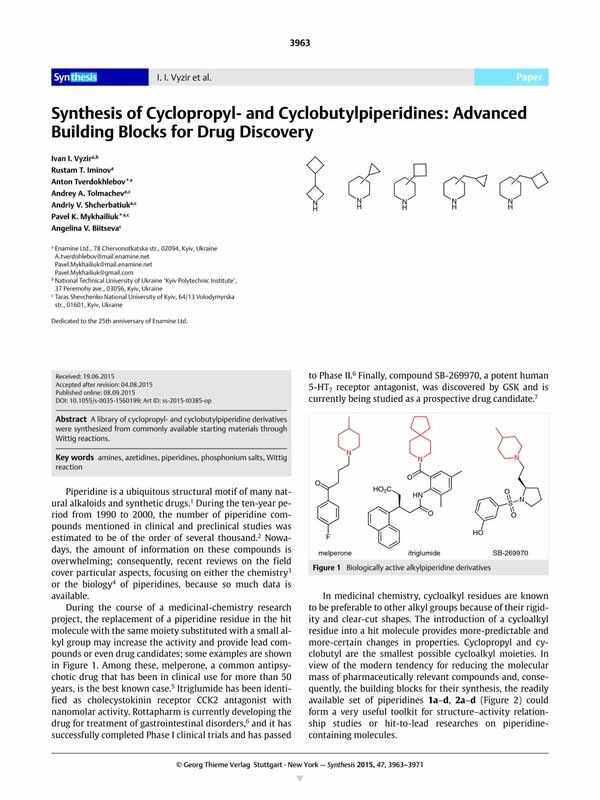 Dedicated to the 25th anniversary of Enamine Ltd.
A library of cyclopropyl- and cyclobutylpiperidine derivatives were synthesized from commonly available starting materials through Wittig reactions. Supporting information for this article is available online at http://dx.doi.org/10.1055/s-0035-1560199. 14 The Wittig reaction of N-(tert-butoxycarbonyl)pyrrolidin-2-one failed with 3a,b due to the high activity of the NCH2C(O) group, which enolizes easily in the presence of a base.